I have seen the future — in fact, I have worn it. It's big and awkward kind of digs into the top of your head with little metal bars designed to hold it in place. I was like 95 percent sure Wear Space was some viral bit of social commentary the first time it popped up online. 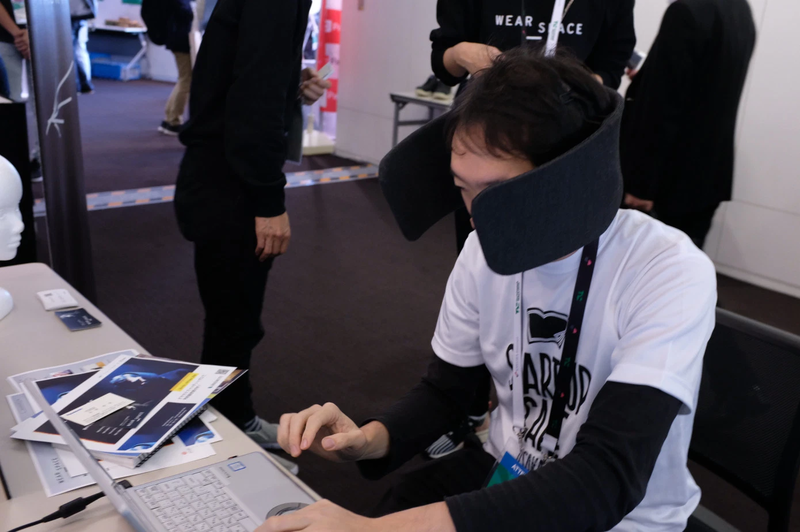 And yet, here at an event in Tokyo, the horse blinder-style wearable was right there for all the world to see and try on. The device is still very much in prototype mode, so the uncomfortable bit is something that will likely be resolved before the device starts shipping. The awkwardness of actually wearing the thing, on the other hand, is the sort of thing that takes time to dissipate. 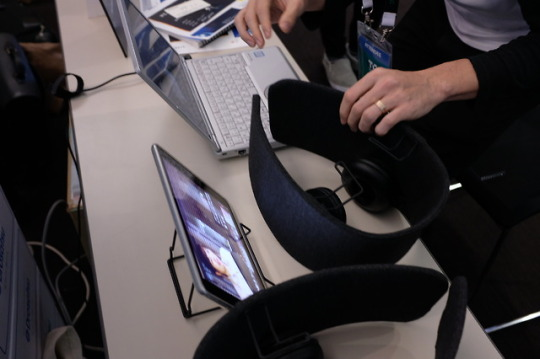 The product is light weight — a good quality for something designed to be work on the head for hours at a time. It's really just a wireframe with a cloth covering that blots out your peripheral vision, while still giving you plenty to look at in front of you. It somehow felt dystopian and weirdly comforting all at once. At very least, I feel like I have a new-found respect for horses. Inside are a pair of on-ear headphones. 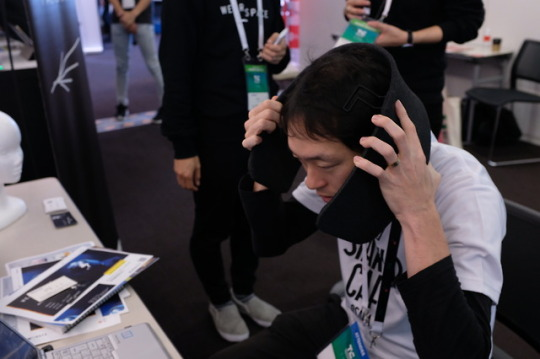 They're not noise canceling, so they won't block out everything, but maybe having read on ambient noise is a net positive on something like this. I will say this: having seen the bizarre things people will put on their heads for the 14 hour plane ride it took to get to Japan, nothing about the Wear Space feels out of the realm of possibility. I mean, if this can be a thing, why not, right? Keep in mind, too, that we've done this to ourselves. Open offices were going to the be the great workplace revolution of the early 21st century, and all we got were these strange horse blinders for people. Buddy, this may sound strange, but I'm #newhere - how to share / forward posts of others?